One of the most common faults on the old the Spectrum + and Spectrum 128 machines are groups of non working keys. This problem is most often caused by a worn keyboard membrane. These are brand new high quality replacement membranes - they are not the low cost, low quality type available from Poland which have been causing quite a lot of problems. 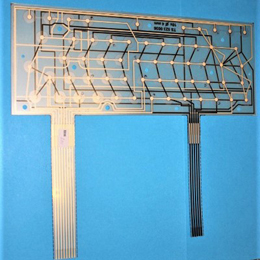 Please note that this membrane IS NOT suitable for the 16K / 48K "rubber" key Spectrums - a smaller membrane is required for those machines - see "Related Products" below.